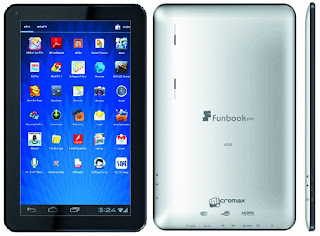 Micromax is a Telecommunication company from India, which mainly focuses on mobile Phone, has released its new tablet which they named ‘Micromax Funbook Pro’. 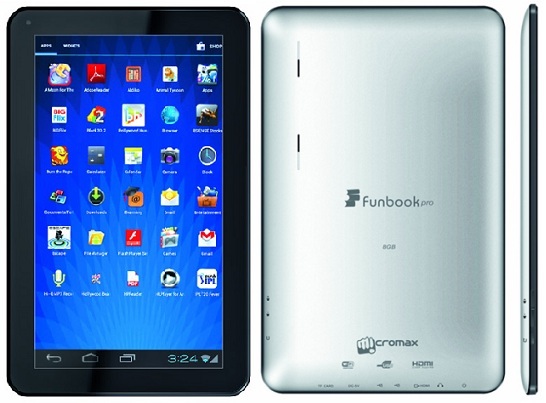 Micromax Funbook Pro is Android ice-cream Sandwich 4.0 based tablet, marvelous processor speed of 1.2GHz with Ram speed of 1GB and 10.1 inches wide screen. Phonebook Pro is the succeeding tablet from the Micromax after the ‘Funbook’ of 7 inches, it’s available on snapdeal.com with price is set to 9999 Indian rupees. Let’s look at the features of this splendid Tablet.